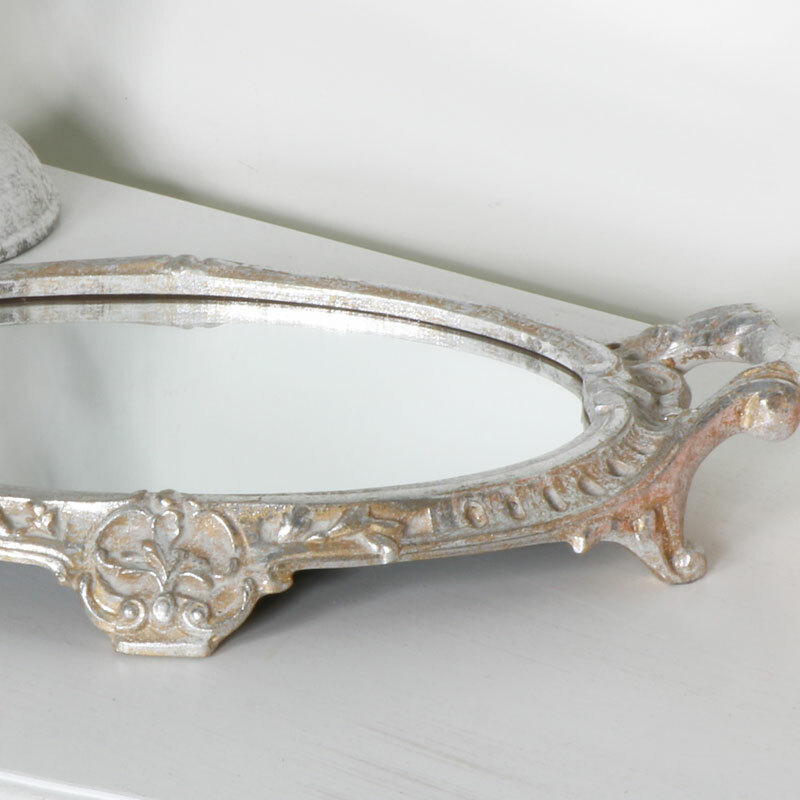 This beautifully ornate mirrored tray will add a look of vintage luxury to your decor. Gorgeous French style that is perfect for using as a display stand. Finished in an aged silver with gold distressing. 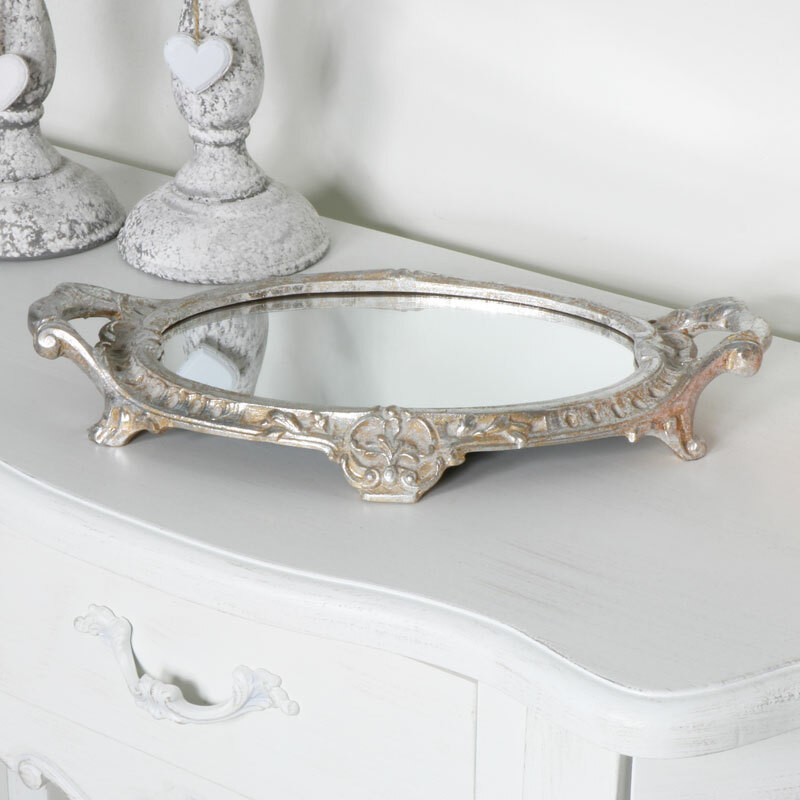 The tray comes with an ornate stand and oval mirrored surface. A stunning way to display your favourite perfumes, ornaments and trinkets or use as part of a wedding display. This would also make a pretty display stand in a boutique. 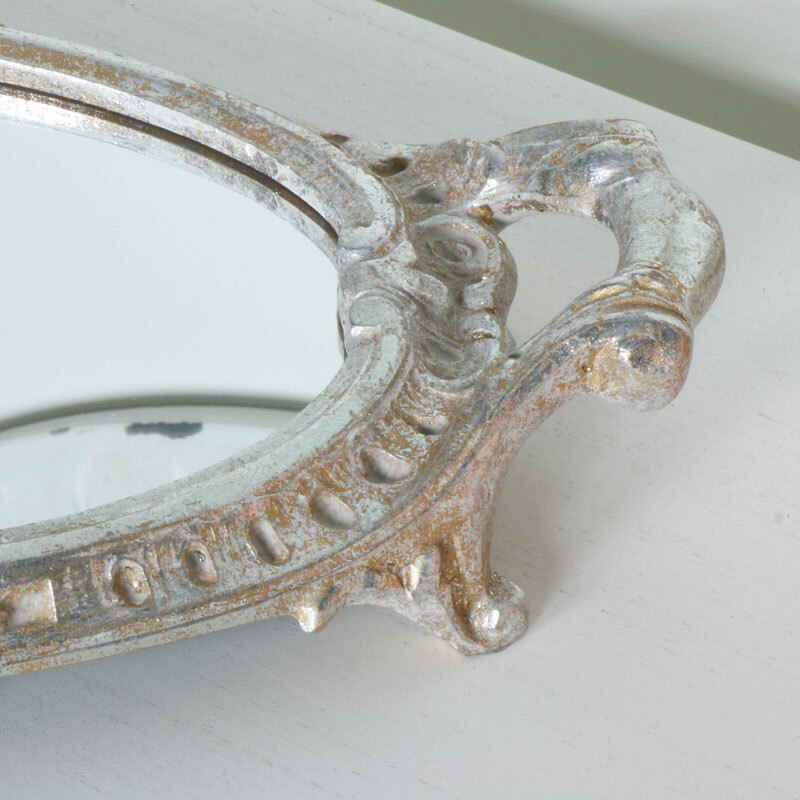 This beautifully ornate mirrored tray will add a look of vintage luxury to your decor. Gorgeous French style that is perfect for using as a display stand. Finished in an aged silver with gold distressing. 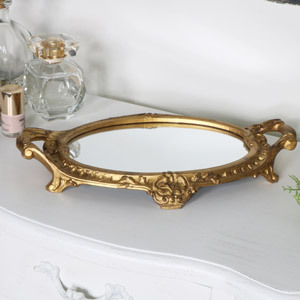 The tray comes with an ornate stand and oval mirrored surface. A stunning way to display your favourite perfumes, ornaments and trinkets or use as part of a wedding display. This would also make a pretty display stand in a boutique. Made with a resin frame with an aged silver finish and gold distressing.